with proven digital marketing services that get you customers. Make a splash with an impressive website for your food truck business. Show up in Google Maps listings when people in your area are looking for a food truck. Give your customers an easy way to find you for every meal. Boost your SEO so you’ll always be considered when someone local is looking for a food truck to cater their event. Streamline all your social media so you spend more time cooking and less time posting (and re-posting). with proven digital marketing services that help get customers. Focus on what really works to grow your business. Get a beautiful, attractive, and engaging website that matches your brand. Understand the business of growing your food truck brand. According to most food truck owners, when asked, "why do food trucks fail? ", it's not about the food or the truck. It always comes back to marketing - not just a clever name, pretty logo or good looking menu, but an ongoing, consistent digital presence management. That includes posting to multiple social media accounts, updating your information on Google Maps, creating a mobile-friendly website and menu. Truth be told, it can be a full-time job just to promote your food truck. Save time, avoid the hassle, grow your food truck business with a digital marketing plan from Voixly. We've partnered with an experienced digital marketing agency to help your food truck business get off to the right start, and keep growing strong. Our proven approach will help you generate followers and raving fans while saving you time posting and reposting the same information across multiple social media platforms. Wouldn't you rather spend your time actually running your business and providing amazing food to your customers? We've partnered with one of the leading digital marketing agencies to help your food truck business start strong and grow consistently. Your website needs to look as good as your food and reflect the personality of your brand. You'll get a site that has exactly what you need for your food truck business. Your customers aren't just finding you on your website. They're also likely to look for you on social media sites like Instagram and Twitter. We make sure that your presence there stands out. When people nearby are looking for a food truck- or just a place to eat - online, you want to be found. We provide local SEO services that put you in front of those people who are searching. You want to make sure you are at the top of the Google results page for extremely relevant and profitable keywords. Our Google Ads services make sure you can be found quickly. Before people decide on a place to eat, they read reviews. We make sure that you have relevant reviews on all the major review sites, and monitor them to make sure you look your best. Your customers aren't just finding you on your website or Facebook. They're also likely to look for you on social media sites like Instagram and Twitter. We make sure that your presence there stands out and is consistent. When people nearby are looking for a food truck- or just a place to eat - online, you want to be found. We provide local SEO services that put you in front of those people who are searching on Google and other search engines (where everyone goes to find food.). We know how to get results. Period. 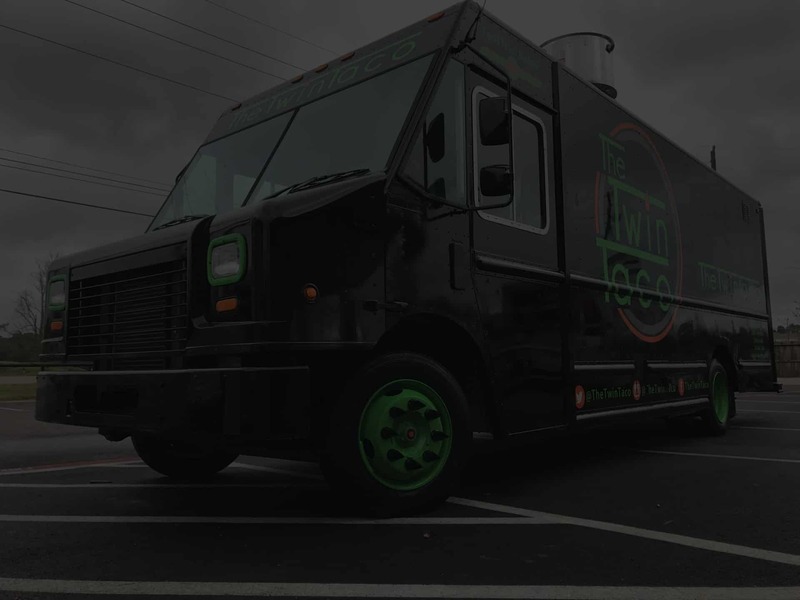 You trust Imagi-Motive with the most important part of your food truck business: your truck. Now, trust our recommendation and let us help you put your truck to work. We've partnered with Voixly, an online marketing company with a proven track record of success. Together we know what it takes to make your business grow...and keep growing. Want more people to find you? We do that. Want to book more events? We do that, too! Just want to be considered first when people are looking for a place to eat? Get in touch with us! No, you don't have to sign any contract! However, we do offer a discounted rate if you decide to sign a 1-year contract. We recommend you have a long term game plan in place to build some serious momentum. This will ensure you reach the top of Google rankings organically and that you grow a strong social media presence. Voixly is an online marketing company that we have developed a relationship with over the past several years. Not only do we trust them to get results for our clients, we also use their services for our own marketing. We couldn't happier with the results they've helped us get. That's why we've decided to share their services with our customers! Do the packages include ad/media spend? Packages that include ad services also include some media spend. However, it is entirely up to you if you would like to add more budget to the included budget in order to scale the results you are getting with the included budget. Depending on the package that you choose, you will receive one of two levels of websites. Both levels include location and menu information. However, the basic level website is a single page that includes all of this information. The advanced level website includes multiple pages and also includes forms to generate leads for potential event bookings. Voixly also provides logo design, video creation, and email marketing if you need these services. All of these services are available as a-la-carte add-ons to their marketing services packages. Having amazing food, a great food truck, and setting up at great locations is a great way to get started. However, when it comes to really standing out from the competition, being found online and presenting yourself as a great choice in those online channels is what will take you to the next level.